I have just posted the February episode of the Brain Science Podcast and so I wanted to give you an update. The new Premium Subscription is off to a good start. In addition many listeners are buying individual episodes and transcripts. These are on sell for only $1 each. However it is important to note that the most recent 25 episodes remain free to download or stream. Last year the Brain Science Podcast also became available on Stitcher. Michael Merzenich (BSP 105)BSP 105 is an interview with Dr. Michael Merzenich, author of Soft-Wired: How the New Science of Brain Plasticity Can Change Your Life. Although this is Merzenich's first book, he was also interviewed back in BSP 54. This interview focuses on why the choices each of us make effects whether brain plasticity is our friend or foe. 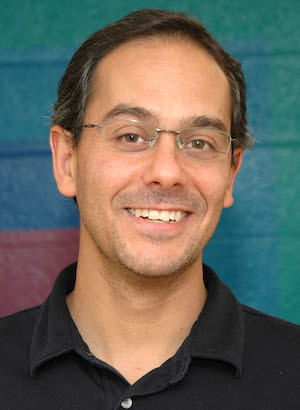 BSP 106 is an interview with Dr. Luiz Pessoa, author of The Cognitive-Emotional Brain: From Interactions to Integration. Although this book is aimed at students and Luiz Pessoa (BSP 106) working scientists, this interview gives all listeners a chance to learn about how recent experiments are challenging traditional assumptions about emotion and cognition. Please visit the Brain Science Podcast website for detailed show notes and episode transcripts.